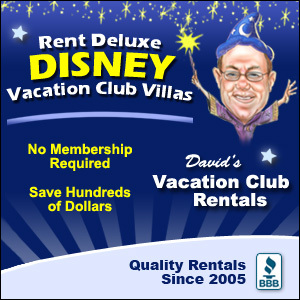 Disney Springs is the place to be for the trendiest merchandise, top of the line eateries, and superb entertainment. With all the recent changes, it’s easy to overlook some of the simplest, yet fascinating things at Disney Springs. Check out these top 8 things that you might have missed – but will hopefully have a chance to check out on your next visit to Disney Springs! Who wants to give a great big bear hug to the Coca-Cola Polar Bear?! Well, now you can. Standing 7-feet tall and grinning from ear to ear, the Coca-Cola Polar Bear is now available for a meet and greet in the new Coca-Cola shop located in Town Center – near the Orange Parking Garage. He’s located on the second floor and totally worth a break from shopping for a great photo opportunity! It’s hard to miss the lovely BOATHOUSE waterfront restaurant in The Landing portion of Disney Springs. You’ve likely heard of their incredible food and hopefully have had a chance to taste it! We’re surprised to learn that many people pass this spot by before getting a glimpse of the Amphicars. What are Amphicars you say? They are cars that can drive on land and act like a boat in water! It’s fascinating to watch really. 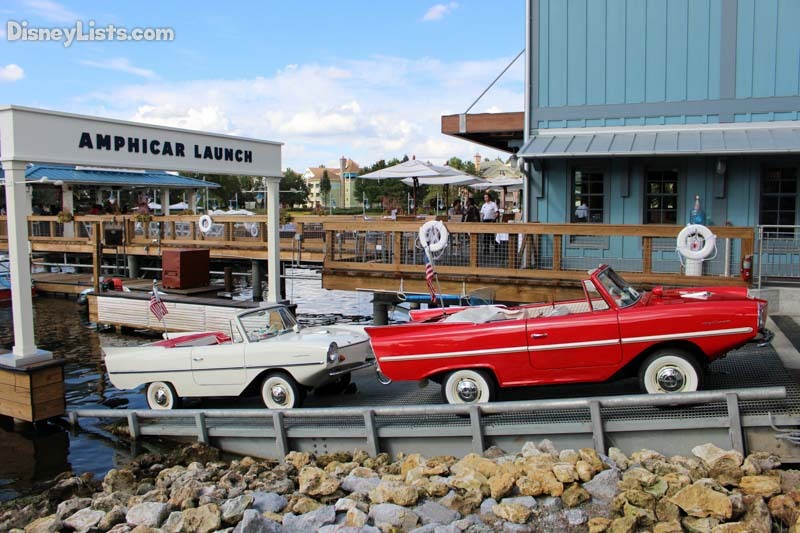 A great spot to catch a glimpse of a Amphicar tour is the Waterview Park neighboring the BOATHOUSE. You may have heard by now of the incredible gourmet cupcake shop located in Town Center of Disney Springs known as Sprinkles. Sprinkles serves their deliciously famous cupcakes, ice cream, and more from their cute, yet trendy corner shop nestled next to the water. But, don’t rush in just yet! As you are about to enter the main doors, look to the right. Here you will notice a pink Cupcake ATM. 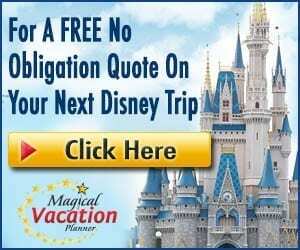 The best part – it really works! Select a cupcake of your choice, scan your card for payment, and out comes an incredible cupcake. This is especially wonderful to enjoy when Sprinkles is closed during the late hours or early morning hours – because it’s never too early to eat a cupcake while at Disney Springs! Because we all love our furry friends as much as Mickey Mouse loves Pluto – check out a little kiosk called the Happy Hound located in the Marketplace. Somewhat tucked away and off the main path, look for Happy Hound behind the Little MissMatched shop. This kiosk if full of fun accessories for the dog in your family with items such as custom collars, tags, outfits and toys. When stepping foot into Disney Springs, chances are you are prepared to shop and snag a few snacks and possibly a meal while you stroll. Well, did you know one way to get a great head start at Disney Springs is to enjoy one of their breakfast or brunch offerings before the rush even arrives? Wolfgang Puck Express (Marketplace) has a great breakfast menu daily, Raglan Road Irish Pub (The Landing) now offers a Saturday and Sunday brunch for guests to enjoy, and even House of Blues (West Side) has a Sunday Gospel Brunch! Take a look at the Disney Springs breakfast and/or brunch dining options and start your day off with the most important meal of the day – Disney Springs style. Located in Town Center between ZARA and Antropologie, and in front of the Disney Springs Welcome Center, take note of the short bridge and water scenery. Once you start looking, it’s easy to notice the industrial style machine known as the “water wheel”. Spin the wheel and you’ll see you are pulling water from the small pond below. Switch to the other side over the bride and have someone else spin the wheel to get a neat look at the mechanics of it all. This is just a simple spot our children especially love spending a couple of minutes at. It’s tempting to rush from shop to shop at Disney Springs, but something that you might miss by doing so are excellent spots to check out the scenery at Disney Springs. 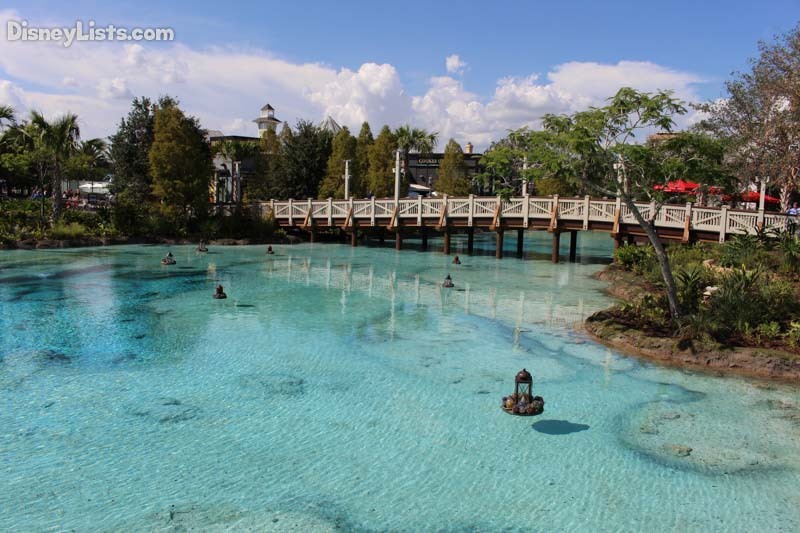 Sometimes filled with entertainment venues and other times a quiet place to take in all the beautiful scenery, Disney Springs has a few spots we feel are frequently overlooked. Our top picks are Exposition Park (West Side – watch the Characters in Flight balloon take off), Riverboat Square (The Landing – favorite place to people watch), Springs Overlook (Town Center – a quiet nook), and Waterview Park (The Landing – best place for water views). Each Holiday is celebrated at Disney Springs to its fullest potential – but we especially appreciate how Disney Springs goes big for Christmas! 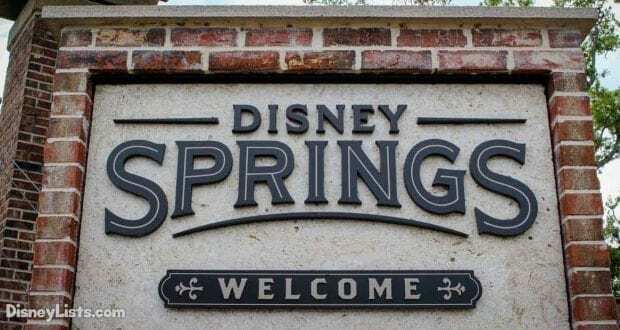 Sure, they offer a 2-Day Black Friday weekend and merchandise discounts as one would expect – but they take it one step further so everyone can enjoy the gift of Christmas at Disney Springs. Some of these special Holiday entertainment options include: Holiday performances and musical entertainment at the Marketplace Waterside Stage; Santa Claus at Santa’s Chalet in the Marketplace for kiddos to ask for their wish list; Christmas Tree Trail in the Marketplace to browse multiple themed trees; and Starbright Holidays which features roughly 300 drones illuminating the night sky with holiday music and themes. It is impossible to see and do all at Disney Springs which is why we keep going back regularly for more! What is your favorite “thing you might have missed” at Disney Springs? We’d love to hear from you!